Cabinet and Shelving constructed of 18 gauge stainless steel, with 14 gauge steel channel reinforcement. 18 gauge stainless steel #2b finish at cabinet tops. Double panned door is 18 gauge stainless steel outer pan, 20 gauge stainless steel ball bearing rollers, recessed type stainless steel door pull handles, and 14 gauge stainless steel upper door track and bottom guides. All cabinet interiors are sealed with clear silicone. All fabrication per N.S.F #2 standards. 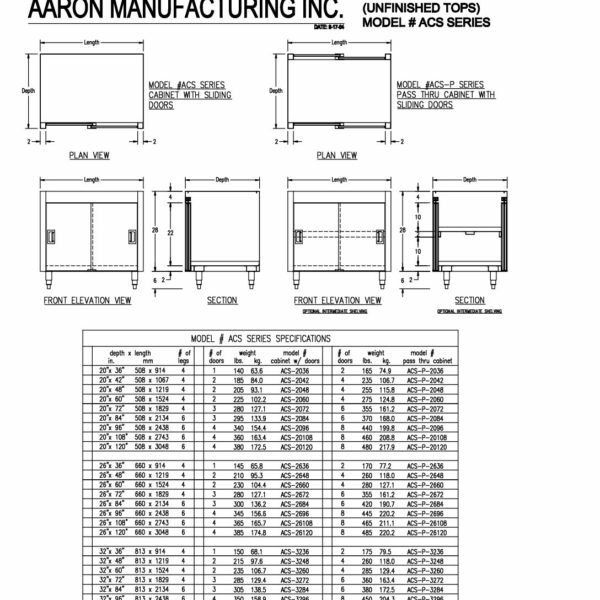 Contact Aaron Bid Department for specific pricing for modified units and accessories. 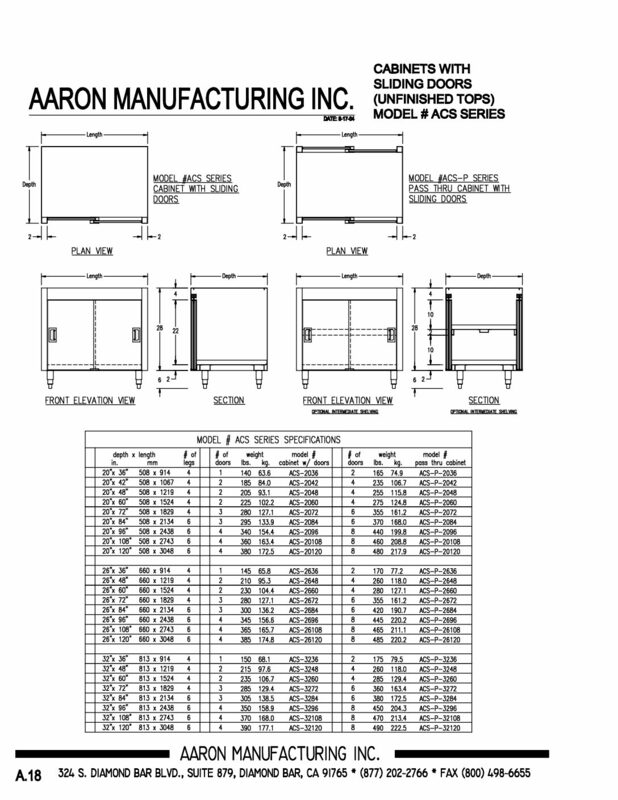 CABINET APPLICATION IS FOR DIFFERENT TYPES OF COUNTER TOPS, AND FOR INSTALLATION INTO EXISTING OR NEW COUNTER SET-UPS THAT ARE SUPPLIED BY OTHERS.